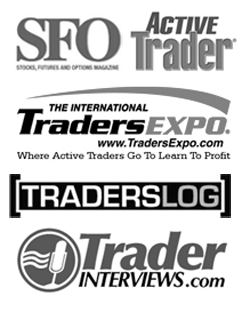 Recently, I had the opportunity to once again speak at the TraderEXPO, this time in my hometown of Chicago. It was a great event and I really enjoyed meeting fellow traders and followers of EminiMind. Here is my presentation from the event. Our experiences define us. They make up who we are and shape our responses to the challenges we face. Mastering your trading technique begins with mastering your mindset and it’s our life experience that we bring into trading that shapes our success. I grew up about an hour north of the city and would frequent the trading floor of the Chicago Board of Trade. I was pretty fortunate to get connected with some great traders very early on that steered me down a path towards becoming a great trader. I have 5 helpful tips for you to help master your trading technique, let’s dive in. When you look at many pro athletes, the often have big lofty goals; winning a national championship, world championship, competing in the Olympics. Big goals are great. They get us fired up, motivate us, and make us excited to get to work. Even more important than the goal on the horizon, is the means at which we work at achieving that goal. 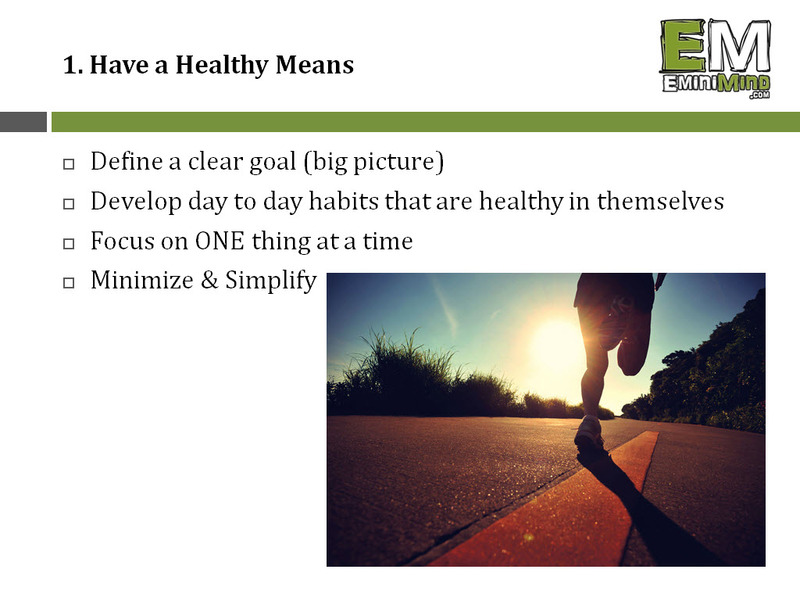 A means is simply the day to day habits we create to move closer to our goal. A lifestyle of healthy eating, positive mental attitude, and smart focused effort are all healthy means to an end. In trading, good habits create a solid framework for us to analyze the markets, place trades, and react to market moves. When we place the emphasis on healthy daily habits, even if we come up short of our goal, the daily grind continues to push us forward and that is a success in and of itself. 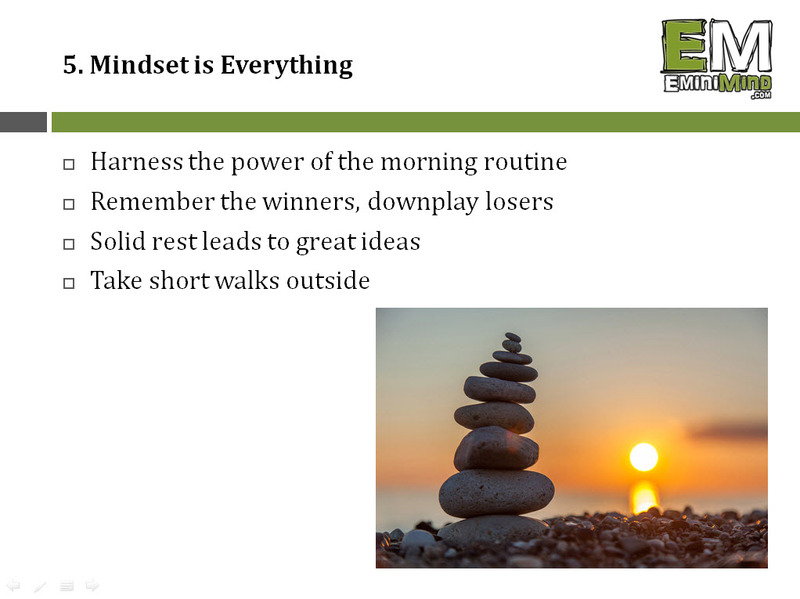 So as you look at your long term goals (trading, investing, business and beyond), take a close look at the day to day habits that you have created and make sure that those habits in themselves are leading you down a healthy path. In trading, forward thinking decision making is where the money’s at. We must always be thinking multiple steps ahead in the process. Just like a chess player. The more sound our decision making processes, the less emotional and subjective behavior we rely on. 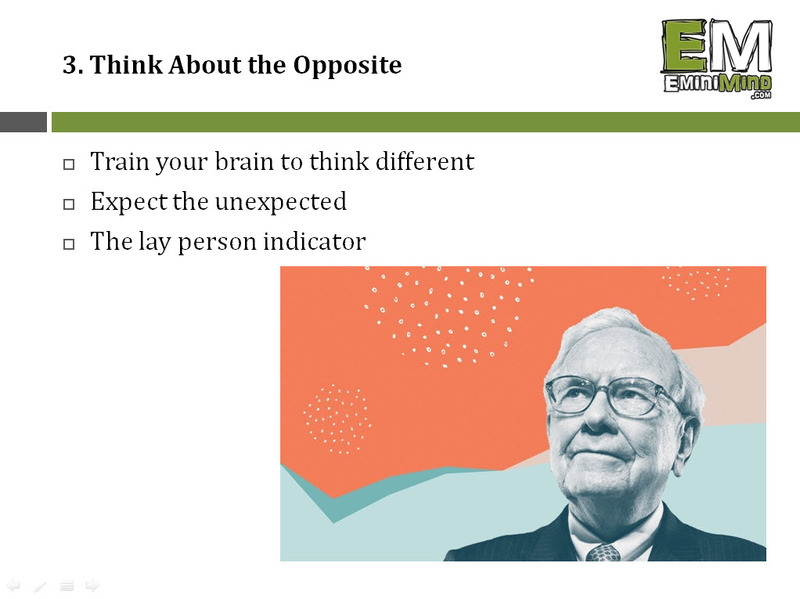 If you’ve traded even one share of stock or one contract of any kind, you’ve experienced the strong impact that your emotions have on your trading decisions. There are a couple things we can do to help create a sound decision making process. 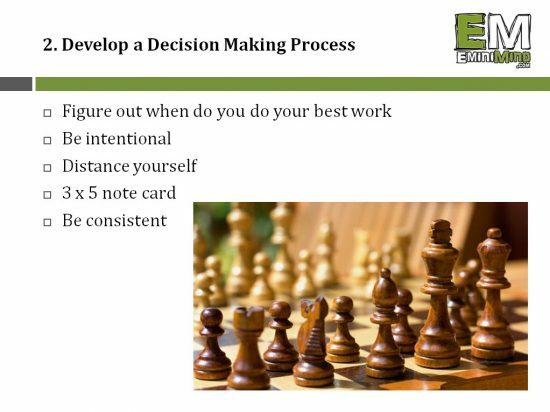 First, on a 3×5 note card, write down the criteria you need to place a trade. Then on the back, write down how you will manage the trade, and how you will exit. Take another note card and write down your max daily loss and max weekly loss that you’re willing to accept. Setting these parameters ahead of time create a sandbox for us to take calculated risks and place trades. Then, distance yourself from your trading. Go for a walk, take the afternoon to do something besides look at or think about the markets. When we distance ourselves we allow our subconscious mind to take over. If you get stuck on a problem or situation ask yourself, what would I tell my best friend to do in this situation. Sometimes asking a question like this creates enough virtual separation to spark a solution. When you have your trading strategy written down, you can review it as you head into each trading day, you can review it during the day if things start getting a little wild, and you can use it to guide you in tough situations. If you do what everyone else is doing, be prepared to get the same result. If you want to achieve something greater you must strive to be different. 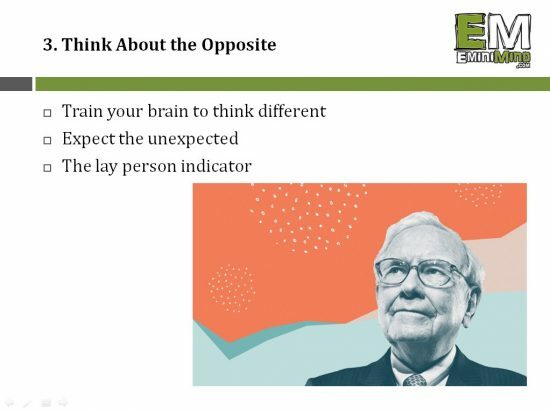 “What works in trading is unique to each trader. Wouldn’t it be great to know that even if you royally botched things up, made a huge mistake, or broke every trading rule in the book that you would still be okay? When you set parameters of a daily and weekly stop loss (a dollar amount to where you will cease trading if reached) you set yourself up to take calculated risks and that promotes growth. “Constantly ask yourself what’s working and what’s not? Have you ever noticed that becoming great at anything takes a big commitment of time and focused energy? You can observe a lot of similarities between great thinkers, leaders, businessmen and women, actors and athletes, you name it. That’s because the “greats” share a lot of similar traits. When it comes to becoming a great trader, there are a lot of habits that we can cultivate from “the greats” of the world. Everything from developing a process for making decisions, to ensuring our daily habits are leading us down a healthy path, separate from the goal we are striving to achieve. One of the best and most common traits common among the greats is a morning routine. Morning routines do a number of things for us. They get us awake and going in the morning, they spark our creative mind, and they put a little check mark in the accomplishment category for the day. My morning routine is quick and simple, but it’s enough to put me in a great mental state to start the day. Each of the 5 exercises should be done for a minute each. They can be done in any order. Exercise – This is a short and sweet minute with a few movements to get the blood flowing. Try 20 squats, 20 pushups, or a 1-min plank. Read – Pick up a book and read a page or two. This may not seem like a lot, but reading even just a few paragraphs is enough to spark your creativity and generate some good ideas. Meditate – Spend 1 minute with your eyes closed, deep breathing, relaxing, focusing on your breath. If a thought comes to you, acknowledge it and then return to a state of peace. State Your Affirmations – I keep a sheet of paper with my yearly goals written down along with a variety of statements that I want to reaffirm each day. Make these statements positive, short, and motivating. Express Gratitude – Think of 3 things you’re grateful for. This can be anything as simple as waking up with a fresh start on the day, spiritual gratitude towards God, or being thankful for a good friend or success in your life. Once you get in the routine you can spend more time in any one area as you’d like. If you want to read a few more pages, go for it. If you want to meditate for an extra minute, by all means do. The idea here is to have something simple and quick that you can do every single day to put you in a healthy and motivated state of mind. While these tips can help make you a better trader, don’t forget that it’s our day to day experiences that really carve out a path to success. I encourage you to go out and get some experience because this knowledge that you apply is what leads to wisdom and that is the path to becoming a great trader. 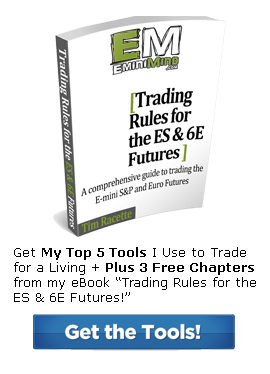 Tim is a full-time trader in the futures and stock markets and founder of EminiMind.com. He is also a Chicago-land native, competitive mountain biker, adventurer, and ASU Sun Devil. I am looking forward to trading the ES full time soon. My question is – how many ticks do you place your STOP when first entering and do you place a SELL as well or keep that open. Hey Trevor, for the ES I use a 6 tick stop. If you’re only trading 1 contract then it’s helpful to set a target as that creates good habits, but I will trail my stop as well. Once you get to multiple contracts you can take one contract (or half the position) off at that smaller first target, usually ~ 2:1 and then trail the remaining. TD Ameritrade, Inc. and EminiMind LLC are separate, unaffiliated companies and are not responsible for each other’s services and products. © 2019 EminiMind. All Rights Reserved. 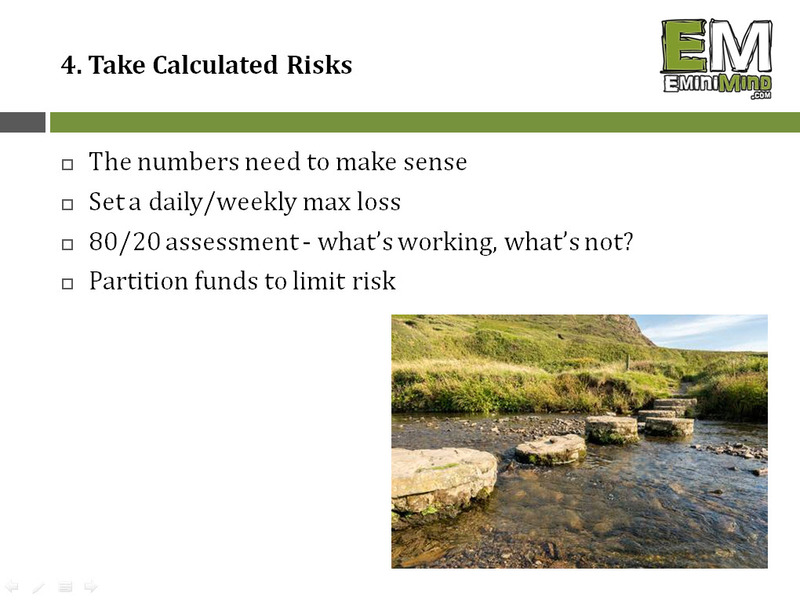 Trading carries a high level of risk, and may not be suitable for all investors. You must be aware of the risks and be willing to accept them in order to invest in the futures markets. You are subject to lose all or more of your original investment. Don’t trade with money you can’t afford to lose or money that, if lost, would affect your current lifestyle. Some of the links on this site generate a commission upon purchasing at no extra cost to you. This website is neither a solicitation nor an offer to buy/sell futures. No representation is being made that any account will or is likely to achieve profits or losses similar to those discussed on this website. The past performance of any trading system or methodology is not necessarily indicative of future results.